People are more motivational and enthusiastic now a days than in the history because they know how important it is to make one’s name bigger, how significant it is to be devoted to the aims, how special it feels to get recognition and how much important it is to run with time so people don’t walk over your head or turn you down in your field of work. Yes, it is like an essential aspect to be motivated in your studies, in your jobs and profession otherwise who else will take interest in you if you are not taking interest in your routine and in yourself? As far as designers are concerned, their life is totally interesting, ask me why? Because they are hardly spare to sit idle or kill their time. They are always up to aiming at their projects and meeting their deadlines. They never leave their brain vacant to be occupied by the devil. And yes, they have “too much in their plate” to gaze what haters have to say. They also look up to inspiring artworks to seek refuge of the creative artists. Down here I am providing you something that you can use in your personal or commercial projects. 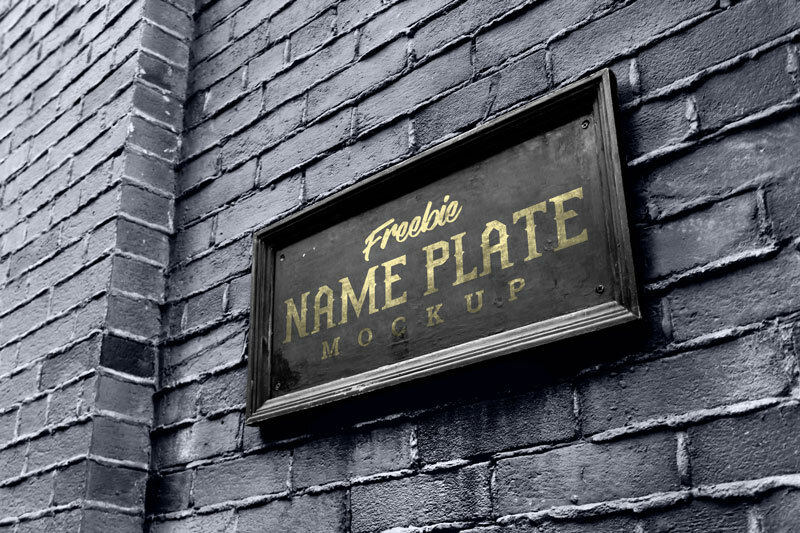 Check out this free outdoor wall mount name plate / logo mockup. You can insert in the logo mark, logo type of companies, factories, offices, or the typography by your client to give him the idea how the logo will look into the name plate. Typographical name can also be put up into this mockup. Remember the clients always want to have the best out of you, so you make sure to not leave any stones unturned to satisfy his requirement. For more amazing freebies and design dose, stay hooked to the blog, we are all set to unleash the trendy and most up to the mark design updates for you all. Friend, when downloading the file, it does not have .zip extension. Also the content layer is hidden. I corrected it by changing the extension of the download to .zip and giving the hidden layer view, but I do not know if all your readers know how to do it. Excellent resource friend. Thank you!!! Thanks for using the mockup file is 7-zip so you have to download the 7-zip software to extract. Layers are hidden to decrease the file size so it does not get extra load on the server.